Description: An untouched stretch of golden sand, popular with surfers but a wonderful beach with private little coves, interesting rock formations and peaceful surroundings. No life guards and no infrastructure, this beach is wild and raw and nature at it’s finest. Description: Similar to Almagreira, untouched and wild, but with a lovely cafe and snackbar. This little gem of a beach is lesser known and tucked away in a cove, giving it privacy and shelter. 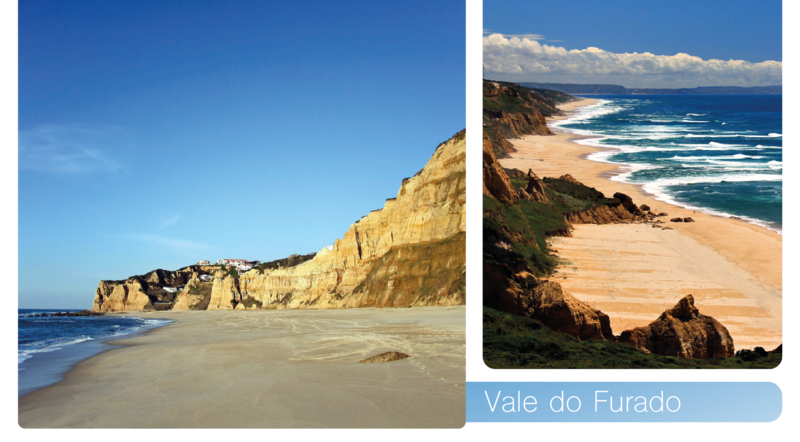 Either side of the cove are incredible sea-facing cliffs stretching South to Praia del Rey and North to Obidos Lagoon. Description: Where the sea enters the land, to form the Obidos Lagoon, with walking areas and numerous restaurants, bars and cafes. The fauna and flora in the area are well protected, ensuring that visitors can enjoy being surrounded by nature. 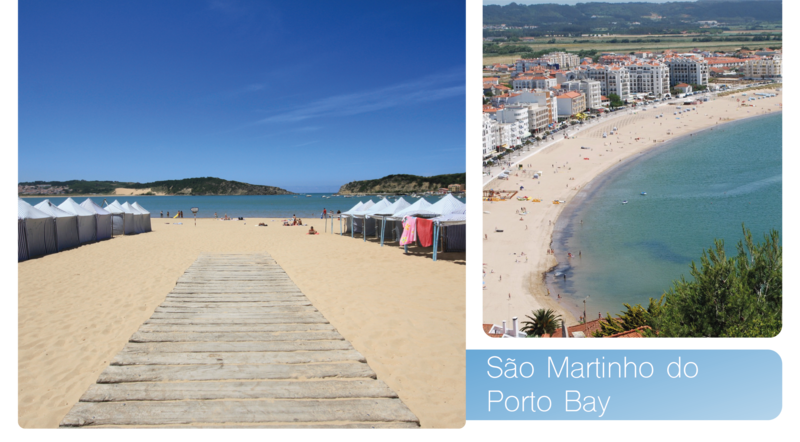 There are two different beaches; the lagoon beach and the sea beach, making it ideal for the whole family. 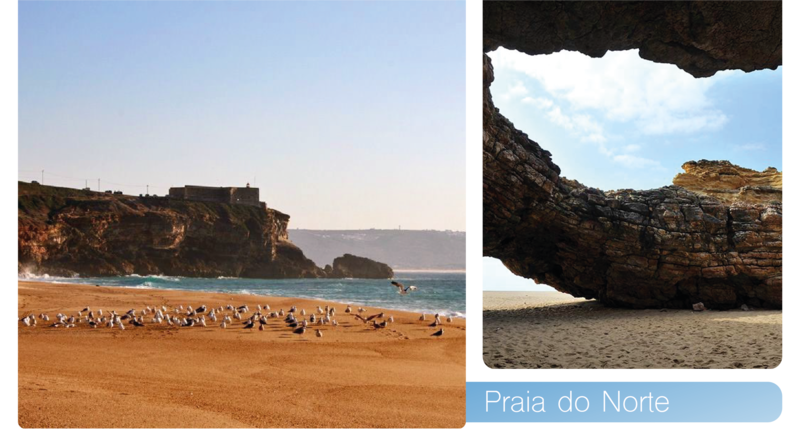 Description: A natural shell-shaped bay and voted the best beach for children in Portugal. 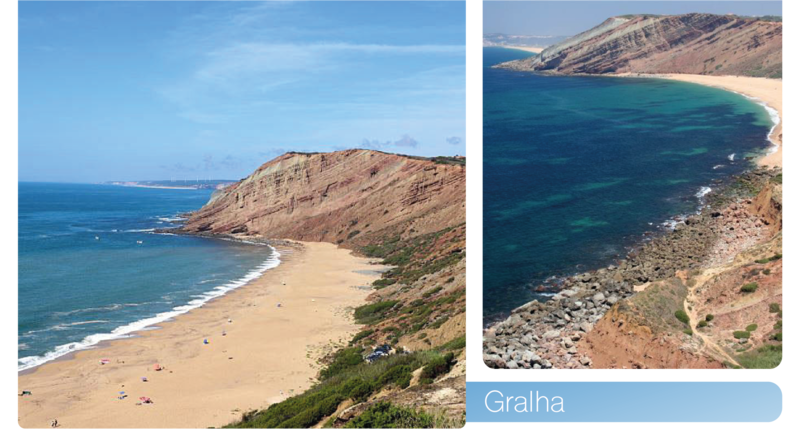 Calm waters and no current makes this the perfect swimming beach for all ages. Golden sand follows all the way around the bay making this a spacious beach. For those that need some shade, the municipality provides cute little tents, distinctive to the area, that are available to rent. 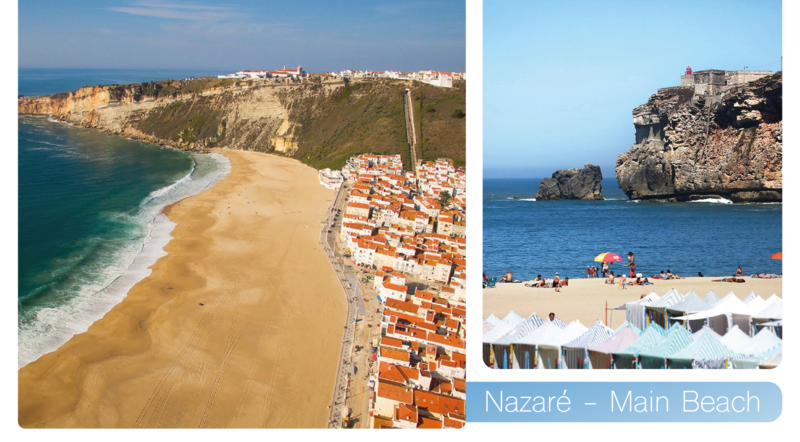 Description: One of the most iconic sites on The Silver Coast; the long golden beach of Nazaré, set against the dramatic white cliffs of Sitio. Not always the safest swimming beach, but a favourite for those wishing to bake in the sun and dip their feet in the water. Well guarded and with plenty of restaurants, cafés, food caravans and ice cream outlets just across the road. 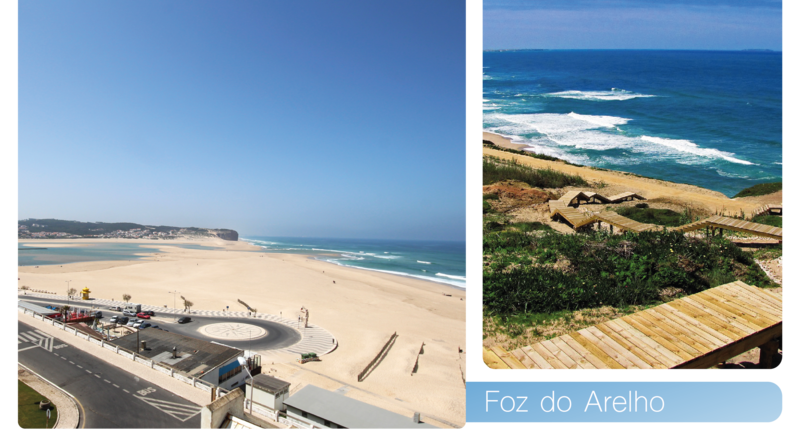 Description: The setting of the biggest wave ever surfed, but a magnificent beach with miles of rugged coastline interesting caves, mesmerising waves and the famous fort in the distance. Not a swimming beach, but a place to enjoy long walks with the overpowering sound of the ocean as your soundtrack. 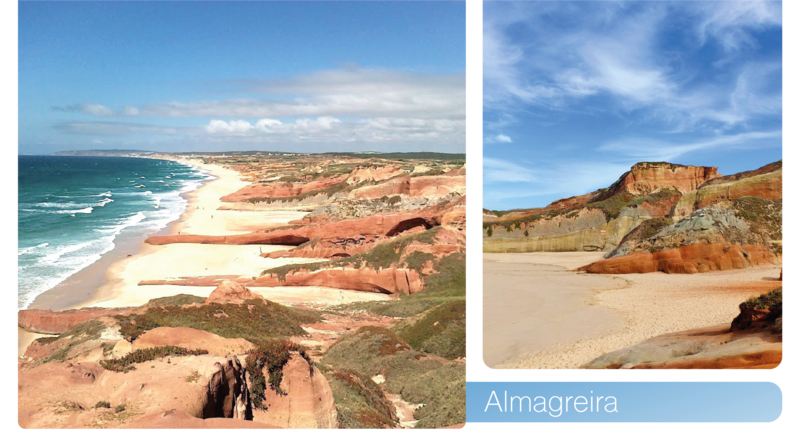 Description: A relatively unknown beach near São Martinho do Porto but rugged and dramatically beautiful. Surrounded by cliffs, rock formations and natural flora, this is a beach where one can enjoy the sunshine, the sounds of the waves crashing and privacy. Unguarded so be aware of conditions before swimming. Description: Typically rugged Silver Coast beach, but magical and mysterious, this hidden gem is found at the bottom of a small valley. The walk in and out is not the easiest but worth it. Once again, miles of untouched beach surrounded by dramatic cliffs, forests and shrubbery. This also happens to be the location of one of our favourite restaurants in The Silver Coast, Mad. Description: Another beautiful beach on this stretch of coastline. 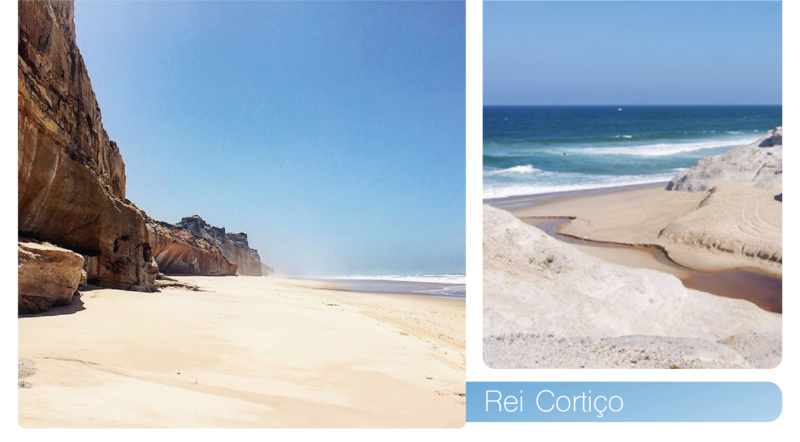 Not far from Pataias and São Pedro do Moel, and the larger cities of Marinha Grande and Leiria, this beach is a local favourite. There are good facilities, including restaurants, toilets and cafes, while the gradual slope into the water makes this a safe swimming beach. The rock formation at the end of the beach is distinctive and glows as the sun sets over the ocean. 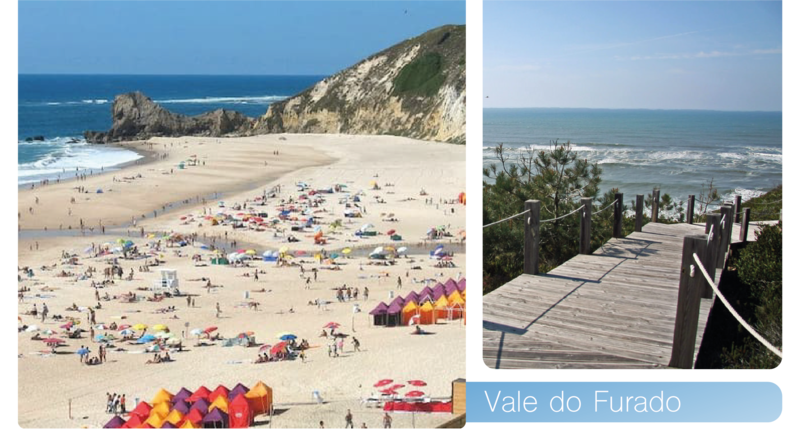 This is also a wonderful area for walking, with a wooden boardwalk that connects this beach to another nearby beach.